At our Medical Clinic, friendly patient service is our priority. Our promise is that we'll listen to you - then provide the time and attention you deserve. Dr. Weiss welcomes patients with longstanding and complex medical problems and addresses them utilizing the best of conventional and integrative therapies including food choices, lifestyle and nutrients or supplements to find safe and effective avenues that allow for an optimal state of well being for every person that walks through our door. Each client is treated as an individual with respect and compassion as we work together to create a well-being plan that supports our patients in overcoming illness and medical problems while creating a future of wellness. 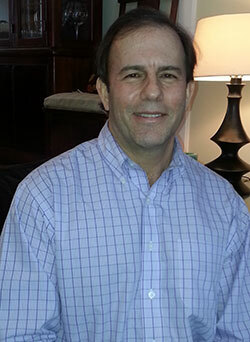 Dr. Alan Weiss serves as the Medical Director of Annapolis Integrative Medicine. He earned his bachelors degree from the University of Virginia and his medical degree from McGill University. He completed his internship in integrative medicine at the University of Hawaii and his residency in internal medicine at St. Elizabeth's Hospital of Boston.